Richard is a native of Shreveport, LA. He studied at Northwestern State University, receiving his Bachelor of Arts in Music and Masters of Education in Exercise Sports Science. He began his ministry as a Youth and Music Pastor while in college. In the summer of 1996 he met Naomi while serving together on Centrifuge Staff in Glorieta, New Mexico. They were married that January and Richard relocated to Texas. 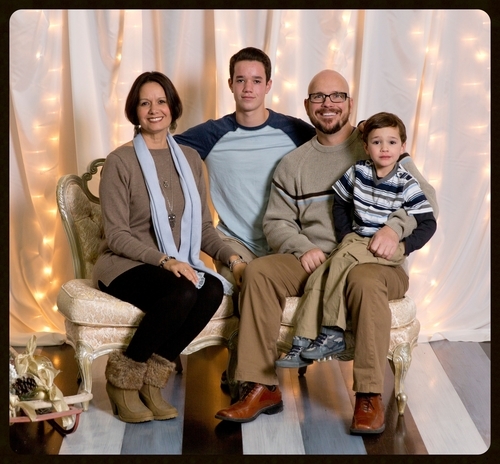 Richard has served in a variety of ministry capacities spanning the last 25 years. He has served as Pastor of Worship, Recreation, Discipleship and Administration. His role before coming to Lakeland was Executive Pastor in Amarillo, TX. Richard and his family came to Lakeland in October of 2012. They have 2 energetic boys, Hayden and Hayes. They love the outdoors, parks, water activities, cruises, the beach and drive-in movies. Richard and Naomi value authentic living with other believers committed to the mission of making disciples. They take full advantage of doing life together in biblical community. They are thrilled to journey with Lakelanders!